Yakult is one of the world’s most recognised health beverage brands. It always presents its message of health in an easy, eandearing way. To enhance Yakult’s healthy and fun image in the digital space. 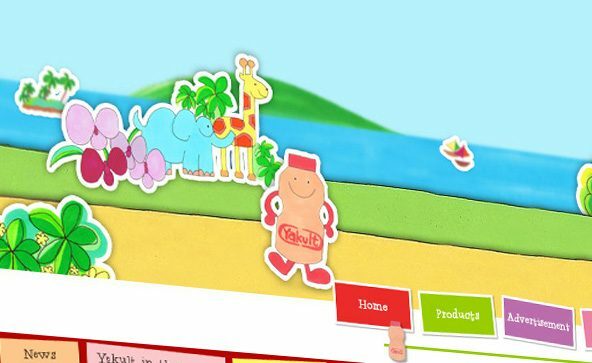 A happy and colourful website that talks about digestive health and Yakult in a fun way. The cartoon Yakult character was designed to help one navigate through the website, which features the different Yakult products as well as news, corporate information and health tips.